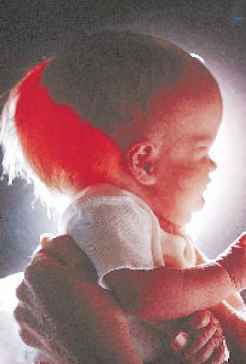 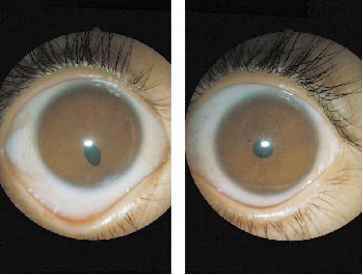 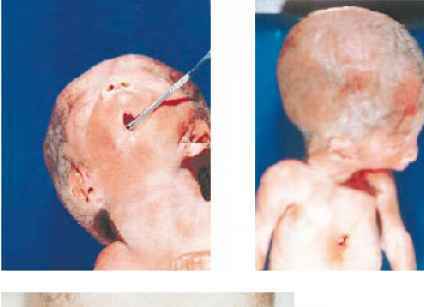 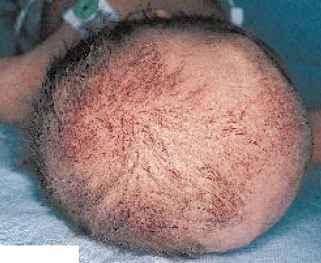 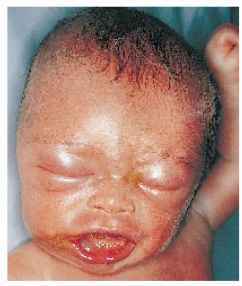 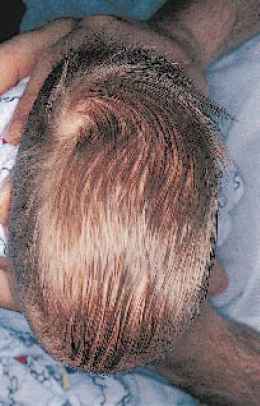 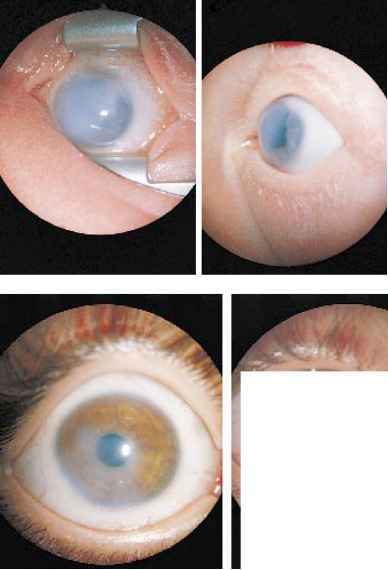 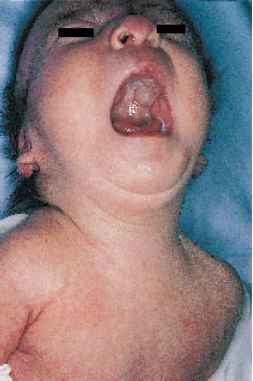 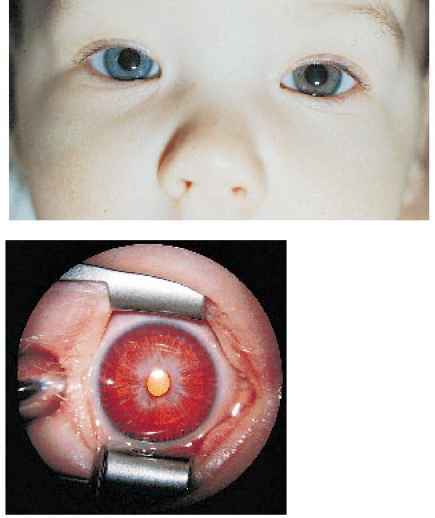 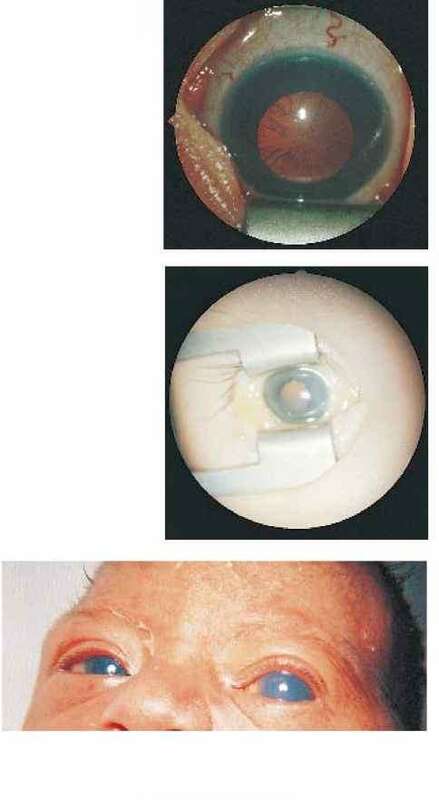 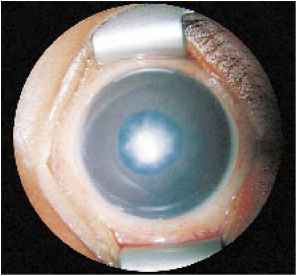 Transillumination of the head of the same infant with hydranencephaly. 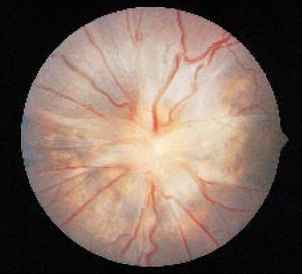 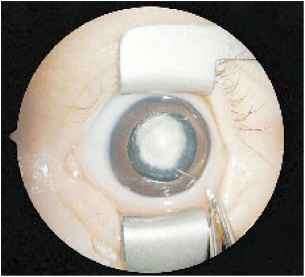 Note the jack-o-lantern appearance of the eyes indicating the lack of neural tissue behind the globe. 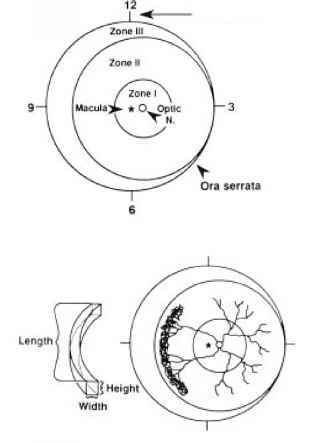 Figure 3.18. 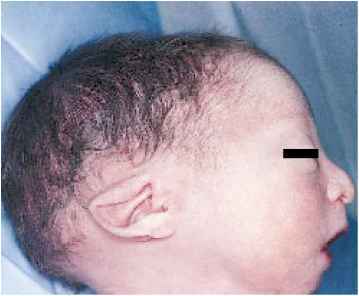 Autopsy view of the skull of the same infant with hydranencephaly. 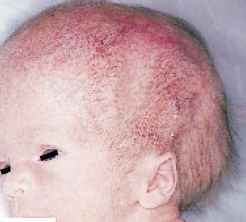 Note the empty cranial vault with lack of development of the cerebrum. 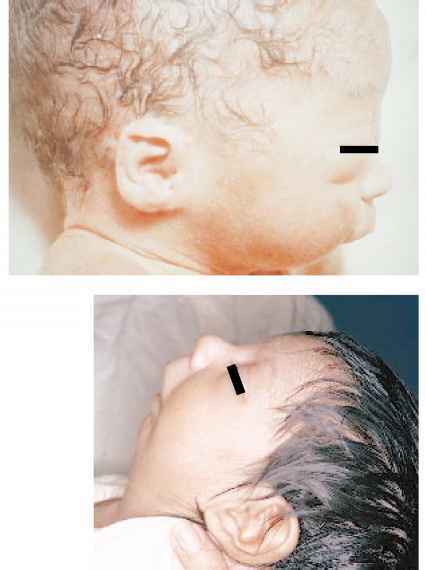 Figure 3.19. 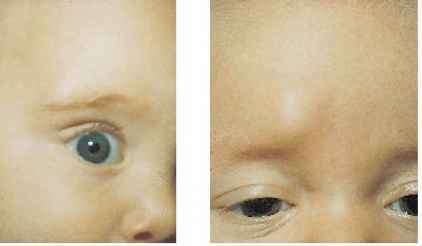 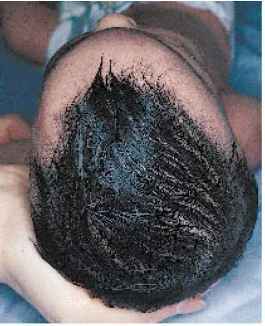 Lateral view of the head of an infant with macrocephaly due to a large porencephalic cyst. 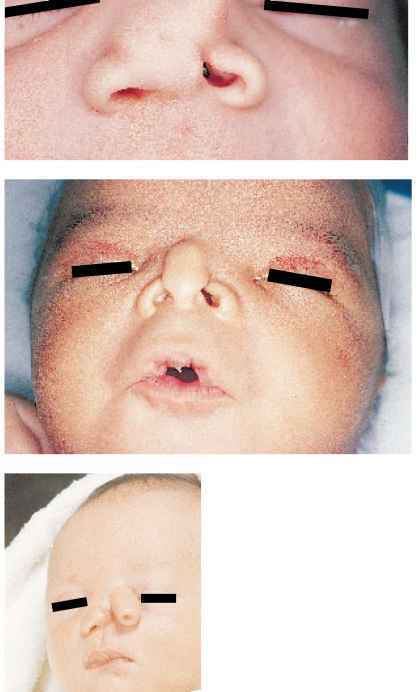 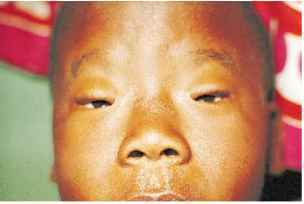 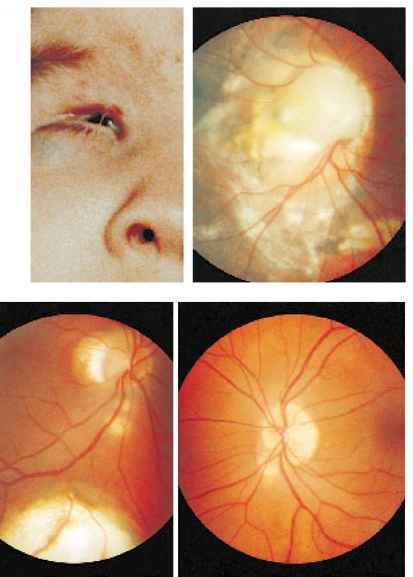 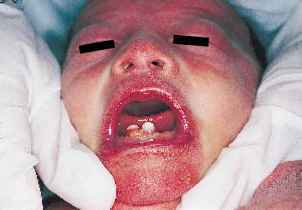 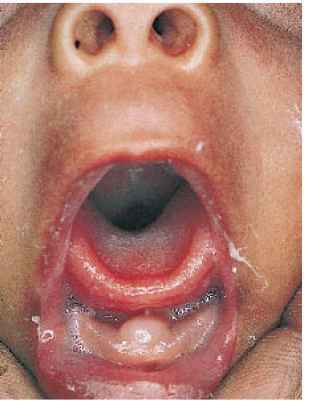 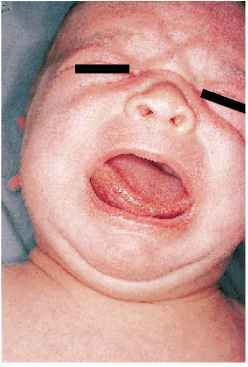 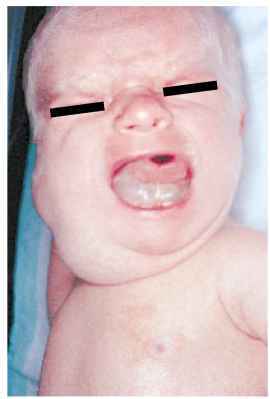 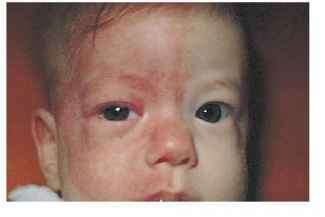 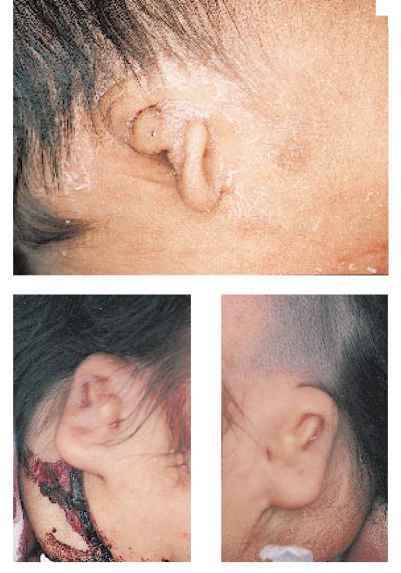 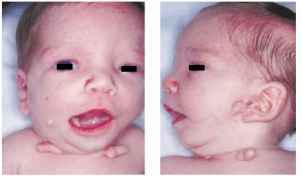 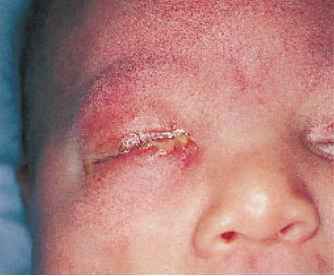 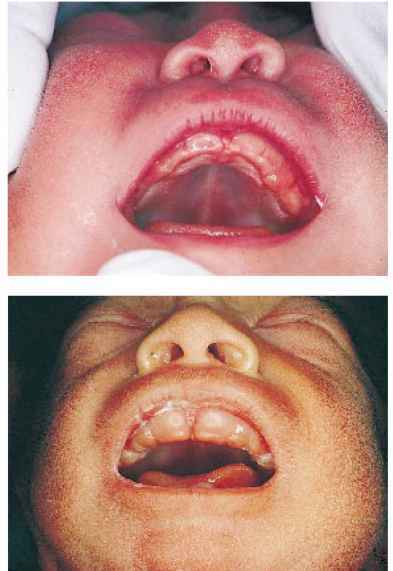 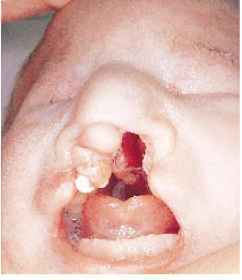 Marked micrognathia in an infant with Treacher-Collins syndrome mandibulofacial dysostosis . 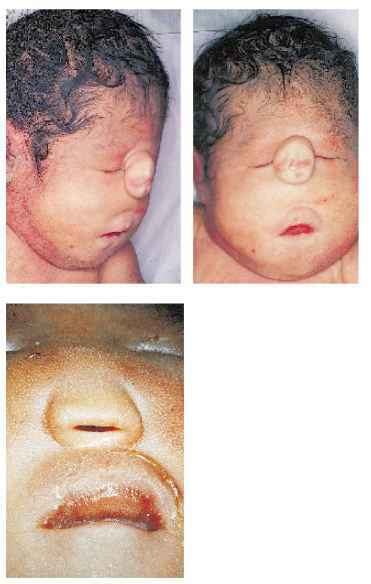 In addition to the micrognathia, note the antimongoloid slant of the eyes, prominent nose, and malar hypoplasia. 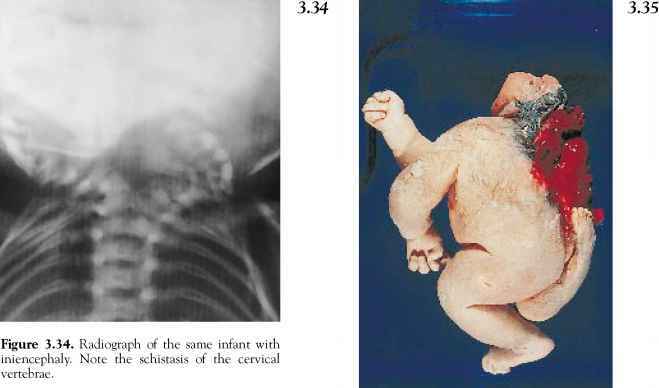 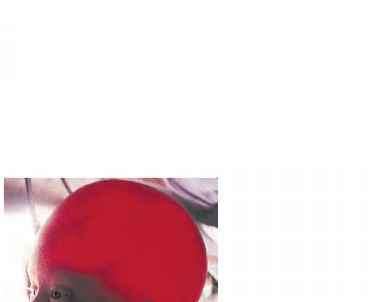 Figure 1.157. 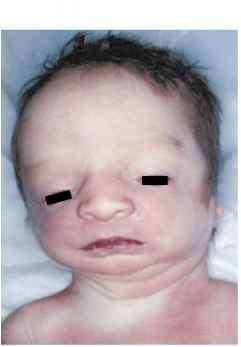 Marked micrognathia in an infant with Treacher-Collins syndrome mandibulofacial dysostosis . 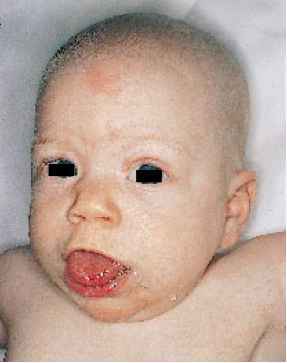 In addition to the micrognathia, note the antimongoloid slant of the eyes, prominent nose, and malar hypoplasia.